Housekeeping first: we've got three lucky winners for the PopChips Giveaway! Random.org helped me select entries 19, 24, and 100: Laurel C, Kabri, and Heff (my first Facebook fan--paid off)! Congratulations! With that in mind, let's talk about smart snacking. 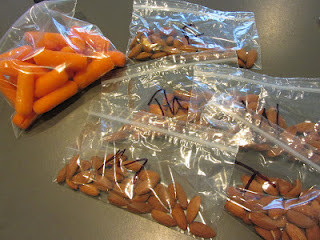 "Oversnacking" is something I've been struggling with recently, so I thought I'd share the principles guiding my own snacking choices going forward. There are many components that go into snacking in a smart way, but today I'd like to focus on what I see as the two main dimensions: QUALITY and QUANTITY. I'll give my quick advice on these, with some wise words from Michael Pollan's Food Rules: An Eater's Manual along the way. Hey friends! I'm short on time, so this will be short on words, but here are the veggiful, PALEO-approved eats I ate yesterday! Breakfast: An unphotographed (sorry!) omelette, not unlike the ones HERE. Yes, I will be making this apple crisp again. Yes, I will be sharing the recipe. Happy WIAW! 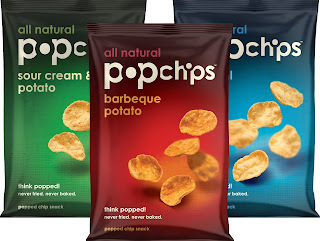 If you haven't already (or want to add more entries), enter this PopChips giveaway! Closes tomorrow. Hey, friends! 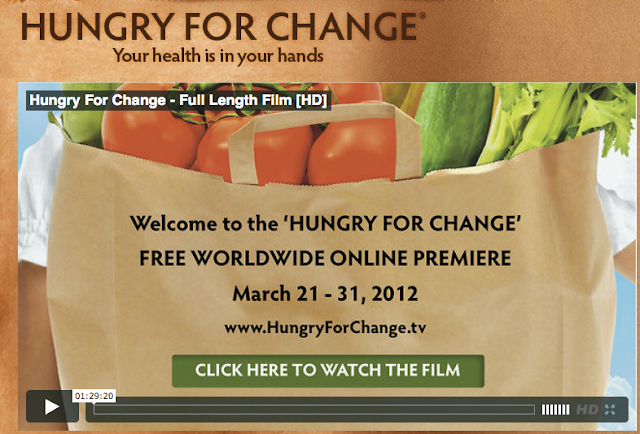 Just watched this documentary,'Hungry For Change.' It does a fantastic job of making the food matters facts, biology, and research relatable to average people in their daily lives, and, most importantly, it does more than scare; it offers viewers SOLUTIONS. Click the link below to watch the premiere for FREE! That's right; through the end of the month (aka ASAP!) you can watch the entire thing for free online. Get to it! Alright, friends, it's been a week! Did you fulfill last week's dare to shut down before bed? How did it go for you? Did you find it difficult to fit in time, did you enjoy the half or whole hour of peace before slipping into sleep? If you were unable to give it a go, please give it a try! It makes such a difference, really. Do not forget to prioritize sleep! 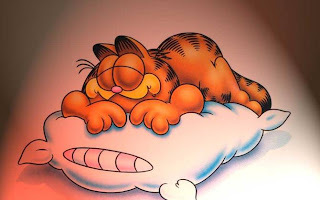 You can read more about the fundamentals of sleep at FitFluential. Balanced Bites also discuss how bright lights after the sun goes down can negatively influence your metabolism. So try making your 7-9 hours a habit--a priority--and aim to get 30-60 minutes of technology-free downtime before bed. Let your brain ease into the darkness, let your body understand that it's nighttime, and let your mind become free of the stresses that distract it from relaxing. #1: Don't forget to enter the PopChips Giveaway! 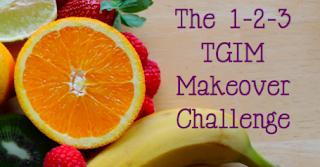 --> Want to see what I'll be eating today? I can't wait to show you! When I received a package last week labeled "Royal Mail," I was confused but excited as to what it could be. Then, it hit me like a giant package of yummy treats: I'd joined in the US-UK Foodie Blog Swap hosted by Jemma at Celery and Cupcakes! In the beginning of the month, I'd sent a package full of Trader Joe's treats to Lauren at Powered By Peanut Butter. She lives in the UK, so I figured she could benefit from the wonder that is American TJ's, so I sent some nut butter (just a glance at her blog reveals her love of the stuff) and other goodies. You can see her reaction to my gifts in her post here. Silly me, I thought I'd be giving her the treat by sending Trader Joe's love. HA! Along with a very kind note, Lauren sent a smorgasbord of these incredible UK-based items. Switch off your cell. Table your tablet. Close your computer. It's 10 pm... 11... 12. How can your brain power down at night if your electronics are still buzzing and bright until the latest possible moment before your head hits the pillow? Studies have shown it takes time for the effects of the light rays to wear off, those light rays that keep your brain active and awake. This week, I dare you to pick a "shut down" time, at minimum, 30 minutes before bed. Make it 60 for bonus points. After that time, give your mind and body time to relax before bed. Read a book, talk to your family, tidy up your room, wash and brush, etc. Do anything that does not require an on/off button. Even better still, make sure the 'off' electronics are not leaving hints of light in your room! Best to sleep in complete darkness. Happy one-month anniversary of Valentine's Day!! What? You don't celebrate the month after Valentine's Day? Well, good thing I do; I have a special gift for you! Popchips was kind enough to share with me their new flavor - Sweet Potato! The box contained several snack-size bags of Sweet Potato Popchips, all with a cute Valentine attached. I'm a sucker for puns. Here I am, rambling on and on about my Valentine's package. Where are my manners? Readers, may I introduce you to Popchips. For those of you who don't know what Popchips are, they're the hottest, tastiest "chip" on the market. The best part is, they're not bad for you (Popchips are not fried; they're popped!) and don't have too many scary, unidentifiable chemicals listed in the ingredients. Sounds like my kind of chip! OK, so you set smart goals, and made a plan. Did you stick to it? Here's my recap from last week for running and eating. 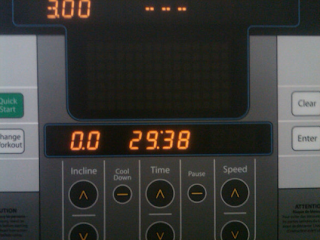 I resolved to get back into my running game. After a stellar January and a less impressive February, I started March off right by running my goal of 12 miles last week. Remember I dared myself to run 3 times a week, and to cover 50 miles over the remaining weeks in March, back to my original 2012 resolution.